At Home Experiment 3: BOUNCY BALLS! — Explosions, Inc.
Brace yourselves. Winter is......well, winter is here. As parts of the US are being savaged by the polar vortex, indoor activities take on a whole new appeal. To help pass the time, here's a fun, hands-on activity to make your very own super ball. As usual, please do this activity under the supervision of a responsible adult or at least someone who satisfies the legal definition of adult and has the self-delusion to believe he/she is responsible. 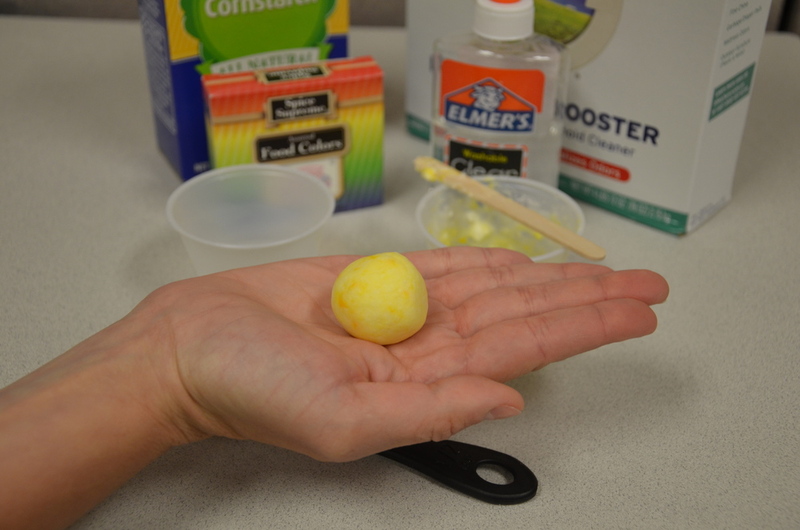 This experiment takes for granted that you've already had the experience of making what is known as "putty", or "flubber" by mixing together school glue and a solution of water and borax laundry detergent. If you haven't, I suggest you reexamine your life choices because you screwed up somewhere. Today we're going to go one step further by adding some special ingredients to create a more solid substance with substantial bounciness. If it looks like something you coughed up when you had the flu, you’re doing it right. In one cup, mix together 2 Tbsp. of hot water with ½ tsp. of Borax. Set this cup aside. In the other cup, mix together 1 Tbsp. of glue, 1 Tbsp. of cornstarch, and no more than 1 drop of food coloring. Add ½ tsp. of the borax/water solution to the glue and cornstarch and mix it together until it is one sticky mass. Got balls? You sure do! Remove this from the cup and start rolling it into a ball using your hands. You will almost definitely have to add a little bit more borax/water solution to reach the correct consistency. You should be able to form your solution into a ball without it sticking to your hands. DO NOT add too much borax solution or the ball will get grainy and fall apart. Once it is smooth and roughly spherical, you are done! Try giving it a bounce. When you are done playing with it, put it in a zip lock bag or other airtight container. This will keep the bouncy ball from drying out. Mixing together glue and borax forms a polymer, which is a repeating chain of identical molecules. The way these molecules are cross-bonded leads to a substance that can be sticky, stretchy, and BOUNCY. This is because the polymer molecules have high “elasticity” which is the ability of a substance to regain its shape after being deformed by a force (like you throwing your bouncy ball). The addition of cornstarch to this experiment yields a structurally sound polymer that will better hold the shape of a sphere. -Do this experiment again but use white school glue instead of clear glue. Is there a difference in the final product? -Try using the clear glue but leave out the cornstarch. Once again, does this change the final product?